Turbo-blender designed to work in up to 800 litre / 130 gal. bowls. For mixing and liquidising directly in the pot or pan for making consommés, soups, omelettes, mayonnaise, etc. Designed for large yields and for frequent use and cleaning, ideal for kitchens with a large production and the food industry. 2-Speed model. Fully manufactured in stainless steel 18/10. Ease of use: can be moved in several directions, adjustable height, fitted on a trolley with 4 non-slip rubber wheels, 2 of them with brakes. Arm: 600 mm long for blending in any type of cooking pot, whether round or rectangular, equally effective throughout the whole pot. Balanced liquidiser arm: stops the arm falling or tipping back when not locked. Arm securing lever: allows you to lock the blender with one hand while holding the trolley with the other. Watertight, tilted control panel: easy access even during use. Control panel located on the trolley, making the arm more agile, with better mobility. Control panel with built-in timer: you can leave the machine running for up to 60 minutes without the need for user involvement. Wiring incorporated into the trolley tubes: The work area is free of cables, so as not to hinder the movement of the blender arm. 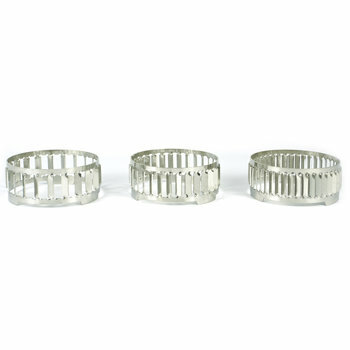 Supports for storing the power supply cable: prevents the cable getting tangled and inconveniencing other users. The turbine, disc and grille are very easy to remove for cleaning: no tools needed. The turbine, guard, disc and attachment can be cleaned in dishwashers. For use with 3 easily interchangeable attachments, which meet the needs of all users and ingredients. Safety microswitch to control the work position: prevents the turbine working if the arm is too high or low. Safety guard on the liquidiser head and safety device that cuts out the power supply. Maximum recipient capacity: 800 l / 130 gal. 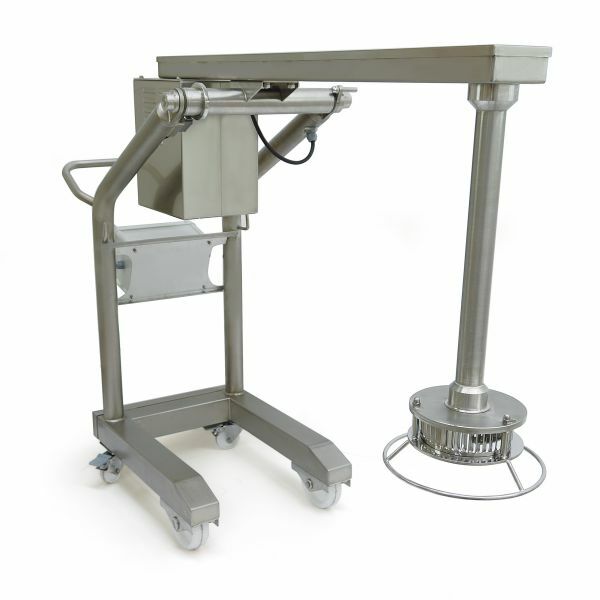 Liquidising arm length: 24 "
Trolley, motor and arm (without attachments).